Kondana Caves situated in Karjat offers the ancient lifestyle of Buddhist followers. 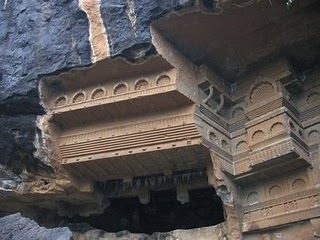 Ancient rock-cut caves, Kondana Caves are very famous Buddhist caves. 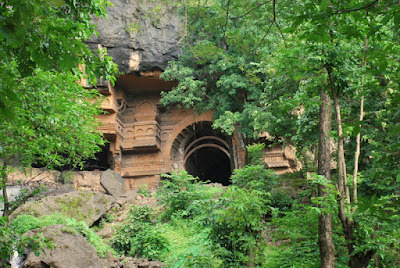 These caves enclose sculptures, vihara, cahitya and stupa. Sculptures and stupas are specimens of the ancient period Buddhist architecture. 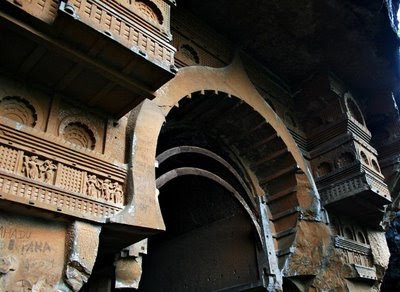 There was a natural disaster in the form of an earth quake in early 1900 by which many stupas, front entrance and floor of the caves were damaged. There are food and staying facility at Kndivade villege. but at kondana caves you don't get any food.